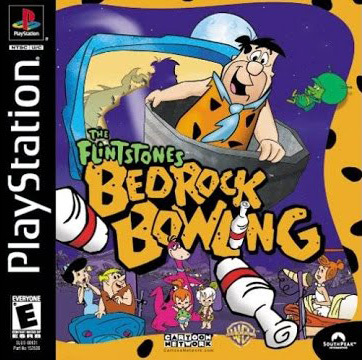 In The Flintstones: Bedrock Bowling, Fred Flintstone is toiling away as usual at his thankless construction job. When it's quitting time, his boss threatens him with summary termination if he does not finish his trench-digging assignment by the next morning. The biggest dilemma for Fred is that he needs to practice for an upcoming bowling tournament. The benevolent alien named The Great Gazoo materializes and solves the problem by digging a trench and lining it with giant bowling pins. He then gives Fred a large bowling ball half shell in which to play live action bowling.